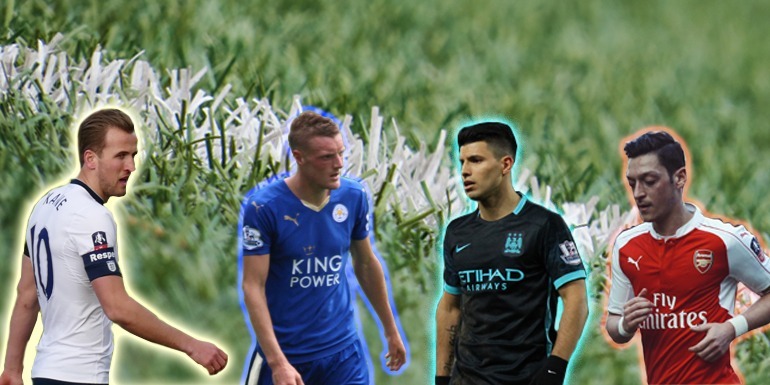 It’s edging closer … the excitement is building for the start of the Premier League. The most anticipated season in English football history. It has been a busy period for the Big Six and their managers – Jose Mourinho at Manchester United, Pep Guardiola at Manchester City, Arsene Wenger at Arsenal, Antonio Conte at Chelsea, Jurgen Klopp at Liverpool and Mauricio Pochettino at Tottehnam Hotspur. Of course six into four won’t go so two will fail to make the 2017/18 Champions League places. And that will not be good for their chances of survival. So expect some bitter clashes and touchline histrionics as the pressure weighs down on them and the fans demand instant success. With the Premier League awash with money, the marque signings are starting to stack-up. Paul Pogba to Manchester United for a world-record fee and John Stones to Manchester City are the obvious eye-catchers. Everyone is at it. And just as important are who is moving on the stellar purchases of a year or two ago. Just look at the clear-out at United lead by Germany’s World Cup star Bastian Schweinsteiger. Schweinsteiger isn’t exactly a surprise – still playing great for his country, but either injured or seemingly disinterested for United, he is 31 now. The best, who have looked after themselves – Zlatan Ibrahimovic is 34 – have an extended career these days but Schweinsteiger gives the impression of using United as a kind of hugely lucrative retirement home. He has allegedly been told he can leave. Many of the fringe United kids are in the same position while others must go away and prove themselves. All deemed not good enough. So who of the high profile managers are likely to succeed and who will fail? Normally money talks so that means Manchester United, Manchester City and Chelsea should have the edge. Mourinho is ruthless, a great manager and a proven winner – apart from that blip at Chelsea last season. Can he reignite Wayne Rooney – Rooney is the sort of player who could go over the hill very quickly. Guardiola is equally admired albeit it could take him two years to formulate the team he wants. Nevertheless City will be up there challenging. Could this be Wenger’s last campaign? His is a wonderful style of play, he is so good at bringing on young players but the mental hardness never seems to be quite there with Arsenal sides these days, unlike the Invincibles. The supporters no longer believe Arsenal can claim the prize and no longer accept that fourth and a Champions League slot is good enough. Even second, as they were in 2015/16 did little to pacify the critics. For Conte at Chelsea it looks a culture shock especially if he either loses Diego Costa or can’t get him to play. There are issues in defence and somehow he must nurse the old Eden Hazard out from the shadows. The signing of Ngolo Kante will certainly bring stability to the midfield and allow Hazard, Fabregas and Willian to cause havoc upfront while Michi Batshuayi looks very much like a young Didier Drogba. Chelsea are out of Europe, should stay fresh and have time on the training pitch to get any problems right. Very hard to call how Chelsea will perform. But with a tactically astute coach like Conte at the helm it is hard to see them outside the top four this season. Which leaves Liverpool and Tottenham, two clubs not at the very top of the financial ladder but with inspirational managers who need to make their teams more than the sum of their parts if they are to compete. Klopp has started to build what ‘his’ Liverpool FC. The signings of Sadio Mané and Georginio Wijnaldum add much depth to the forward and midfield areas, both impressed last season with Southampton and Newcastle respectively. There are still some slight concerns about their defensive capabilities but going forward they should be spectacular to watch. The 4-0 demolition of Barcelona at Wembley proved that. Pochettino has a tough task producing a season as good as last term given the extent to which Spurs over achieved. They should have beaten Leicester to the title but it wasn’t to be. Harry Kane will once again be tasked with producing the goals for Spurs – but can he re-produce his herculean efforts of the past two seasons given how poor he performed at the Euros? The defence and midfield will be as good as last season, it’s just that next level for Spurs which they are looking to achieve and in a competitive season they will need to hit the ground running. Most Liverpool and Tottenham supporters have never seen their side win the league but are knowledgeable, patient and will not rock the boat so long as they can watch good football. A league title surely remains beyond them though. Premier League season which returning soon! The 2016/17 Premier League season is now just one day away. The most exciting league in the world will feature some of the finest managers on the planet this season with Jose Mourinho taking the reigns at Manchester United. Antonio Conte taking charge of Chelsea and Pep Guardiola arriving at Manchester City. All will be revealed on the opening weekend of the season!